185 loyalty points Your cart will total 185 points that can be converted into a voucher of 7,40 PLN. Do you think you have no chance to gain muscle mass because they eat huge amounts of food but all you skinny? Reach for specially prepared for you gainier Universal Gain Fast - very high calorific serving with the addition of cofactors metabolic gives a stunning effect! Of course that's not all, I encourage you to look into the composition of the table, which is very powerful to your effects were greatest possible! 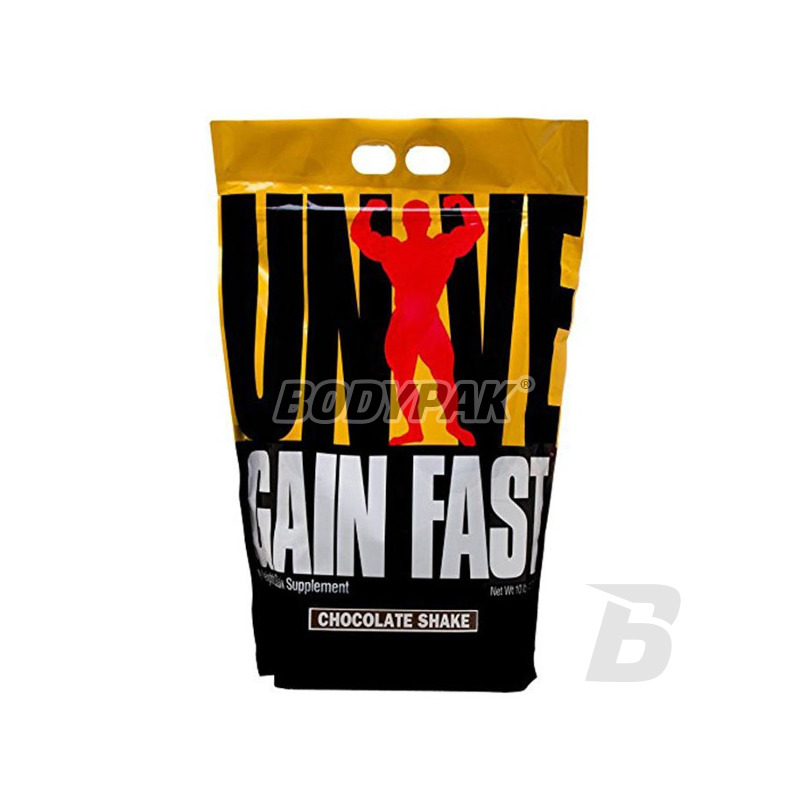 Gain Fast - If we went back the clock of time to measure your adventure with bodybuilding, you'll no doubt remember wearing this measure, which was always at the ready - "Gain Fast" (weight gainer) probably the first time you bought it in the form of a large bottle of playing in the football team before you became a competitive bodybuilder. 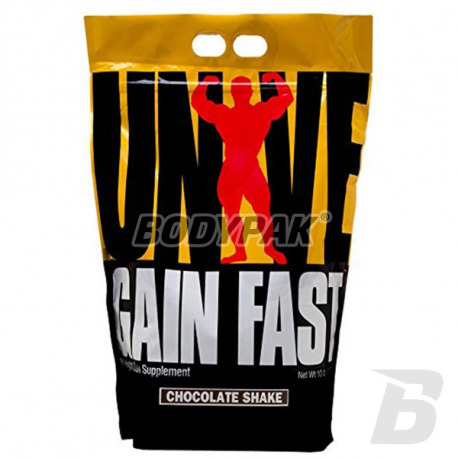 Along with the Animal Pak "Gain Fast" it was probably one of the first supplements. For many years, we sold tons of this. Why? Because it was effective and safe. Gainer over the years has changed very little. However, regardless of whether you grew up bodybuilding in the 80's, 90's, and now, one thing remains unchanged - to bulk up and gain muscle weight, you need plenty of calories. And when you can not eat any more, you need more calories. Gain Fast 3100 can help. It's a great vehicle. For most of us, putting on weight it is a simple process (for some, all too easy). Eat more of everything - protein, whole foods, vegetables, eggs, milk, fruits, good fats etc. For others, gaining weight is a difficult task. It is difficult, for example, to force myself to eat every three hours. You always feel full. So maybe you belong to a group of people with a hard gainer on weight, which never seem to be able to gain weight no matter how hard you try or how much you eat. 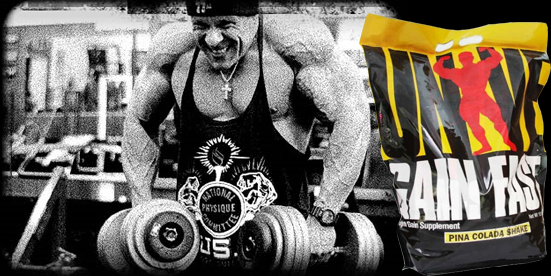 Gain Fast 3100 has been designed to fuel your body with up to 3100 quality calories per day. But sometimes, even mega-calories are not enough. Sometimes you need something more, something like anabolic boosters, performance herbs, natural plant sterols, EFAs, digestive enzymes, and muscle optimizers. We're talking about ingredients like L-arginine, MCTs, IGF colostrum, L-Carnosine, sulfate, vanadyl, plant sterols (eg. Beta-sitosterol, stigmasterol, fukosterol, kempesterol), inosine, ginseng, alpha-ketoglutarate pyridoxine (PAK ), choline, inositol monophosphate, and other good substances. Where else can you get such a mix? Nowhere else in the world. It is only available in Gain Fast 3100. Thanks to its unique formula will achieve all your desires and goals! 1 serving a day divided into 3 smaller. Inne składniki: ProtoCarB Plus (polimery glukozy, maltodekstryny, krystalicznie czysta fruktoza, dekstroza), odtłuszczone mleko, Super Protein EX (kazeinian (mleko), ultra filtrowany koncentrat białek serwatki (mleko)), olej słonecznikowy, naturalne i sztuczne aromaty, celuloza, monoglicerydy, fosforan dipotasu, dwutlenek krzemu, tokoferole, fosforan diwapnia, siarczan potasu, Vitamin Matrix (kwas askorbinowy,octan dl-alfa-tokoferolu, amid niacyny, pantotenian d-wapnia, chlorowodorek pirydoksyny, mononitrat tiaminy, ryboflawina, cholekalcyferol, kwas foliowy, cyjanokobalamina), tlenek magnezu, lecytyna sojowa, tlenek cynku. Skład tego gainera niemalże idealny pod moje zapotrzebowanie. Smak i rozpuszczalność bez zarzutów. Cena również atrakcyjna. Nic dodać, nic ująć! 5/5 !! If your goal is to increase muscle mass and strength is the gainer is what you are looking for! The high protein content, excellent flavor and solubility! Bet on the quality and enjoy the results!